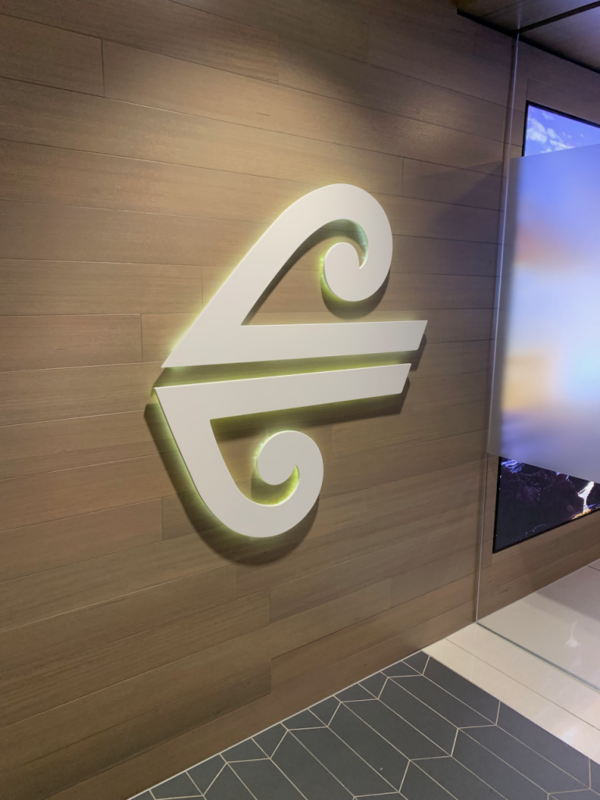 Air New Zealand Lounge. Melbourne. It was finally time for me to leave Australia after almost two weeks in the country. 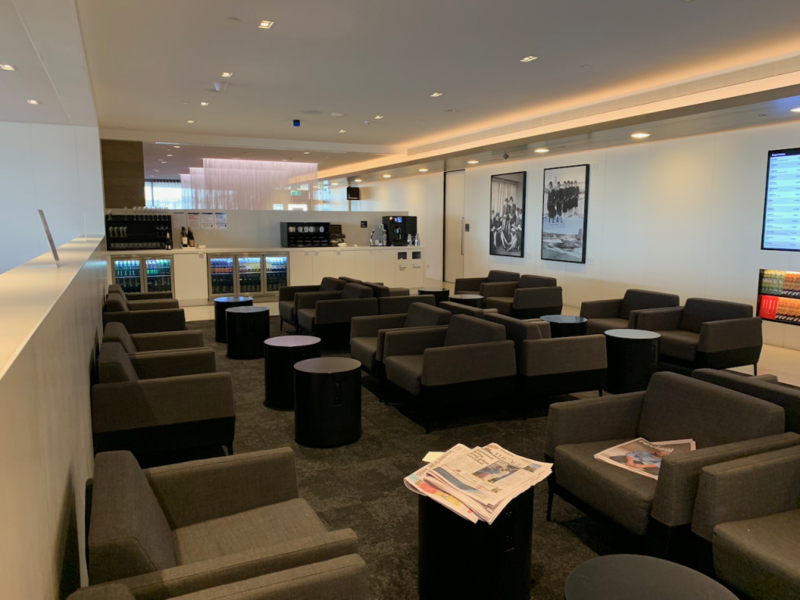 I’d booked a business class fare with Lufthansa, travelling via Singapore, with the sectors from Singapore down to Australia being flown by their Star Alliance partner, Singapore Airlines. 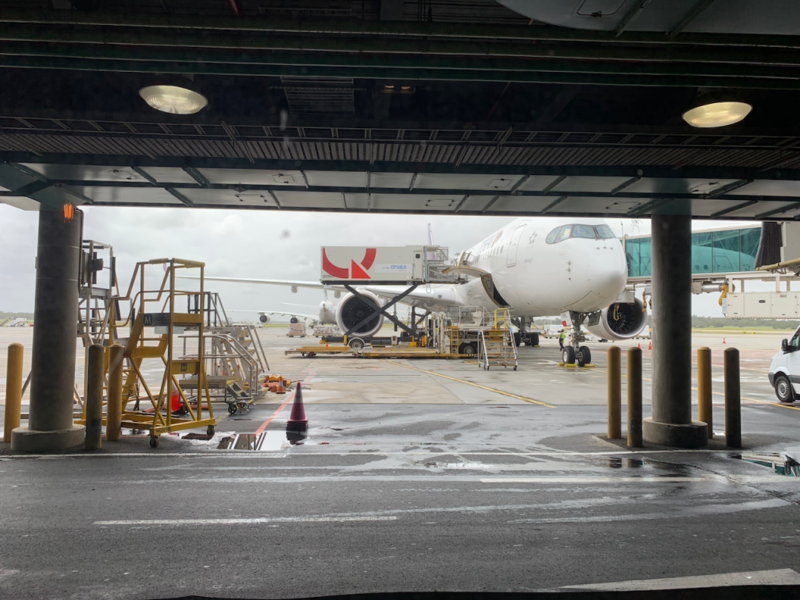 My outbound flight on an A380 down to Sydney was very good indeed, so I rocked up at Melbourne’s Tullamarine airport with some reasonably high expectations. I arrived about 3h 30m before departure, to find a few contract staff and quite a number of passengers hanging around the check-in area. Apparently the Menzies contract staff couldn’t open check-in any earlier as they “hadn’t had their briefing”. 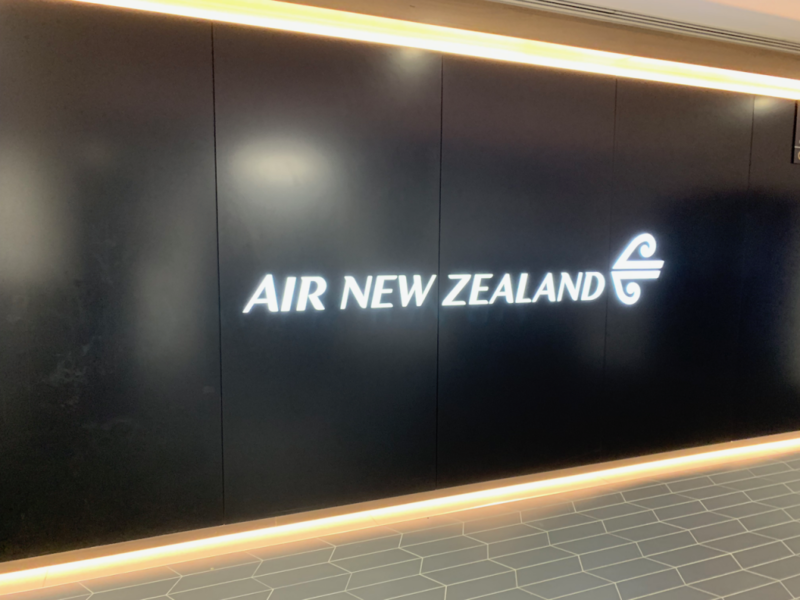 So at three hours on the dot, I was able to check my bags in, and head through security and outbound immigration, into the airside portion of the international terminal. 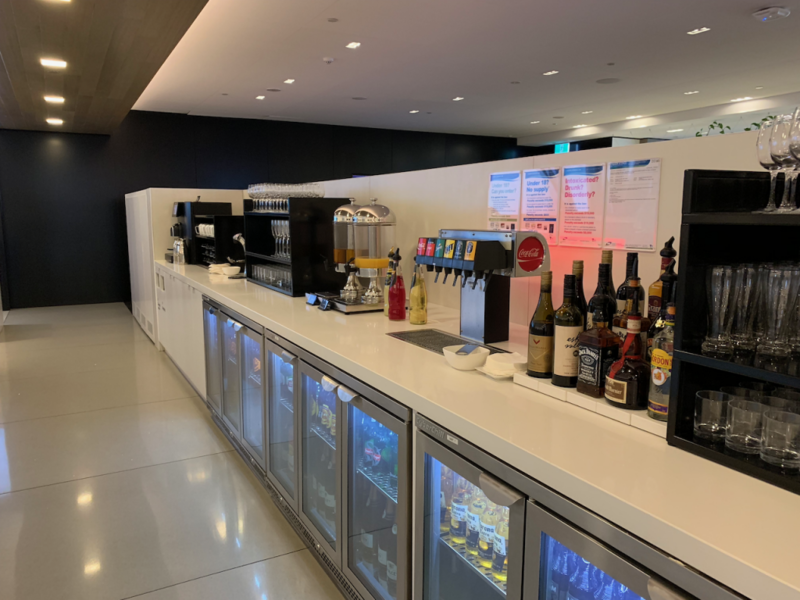 Unfortunately I wasn’t flying oneworld, as I’ve heard many excellent things about the Qantas First Class lounge at Melbourne, however still had a couple of options. 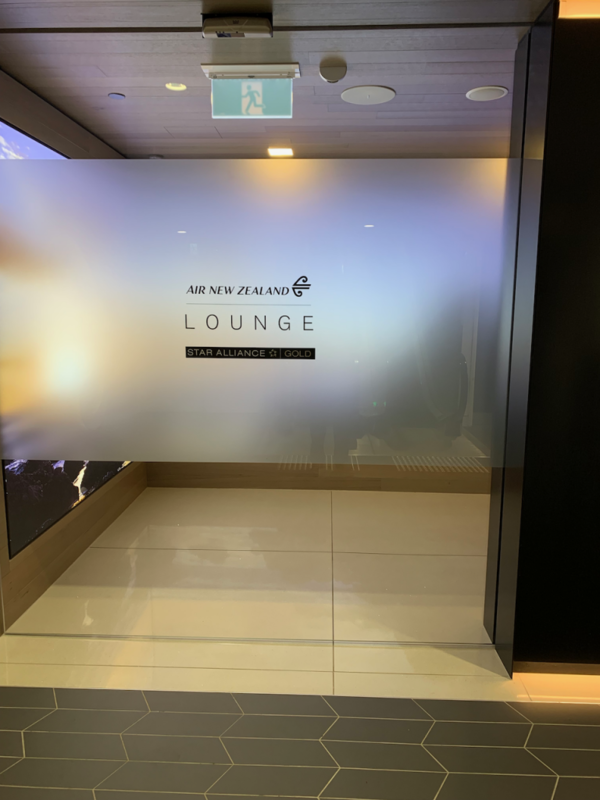 Singapore Airlines have their own lounge there, as well as Air New Zealand too. 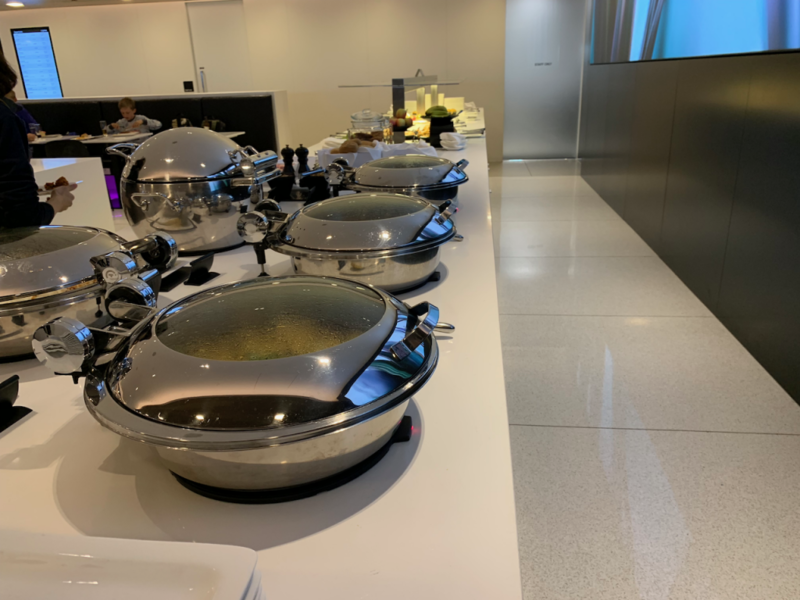 I didn’t review the Singapore Airlines lounge as when I wandered in, it was pretty busy with people waiting for my flight, plus a bunch of kids running around and babies crying. 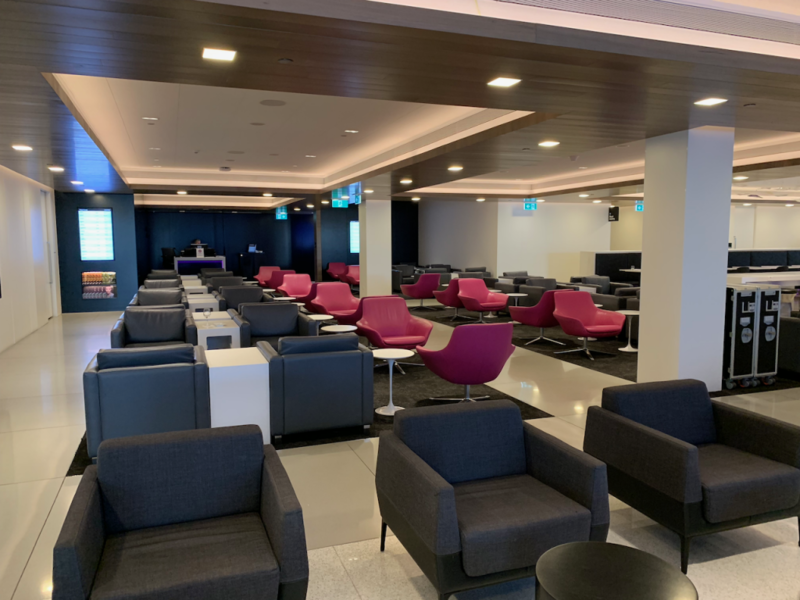 The main terminal area was more relaxing. 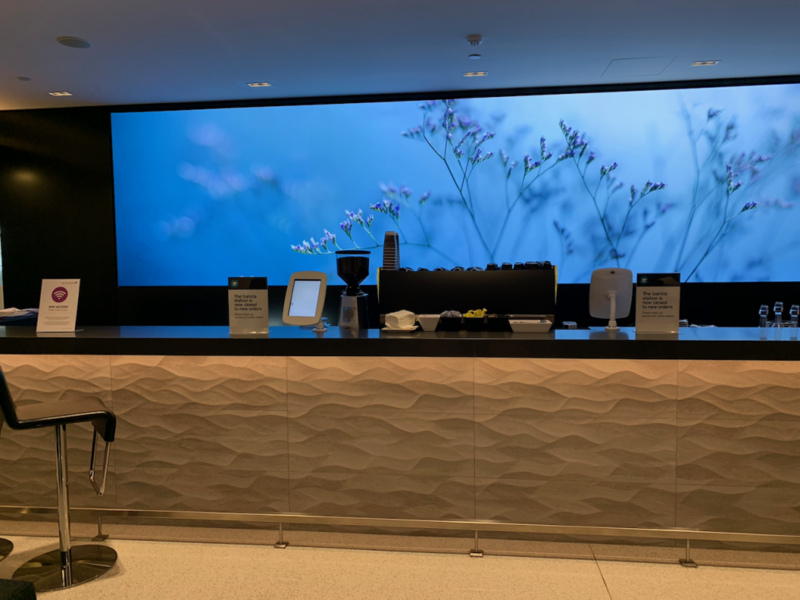 So I walked right back out, and headed down the escalators to the Air New Zealand lounge, where I was warmly welcomed by the lounge attendant. 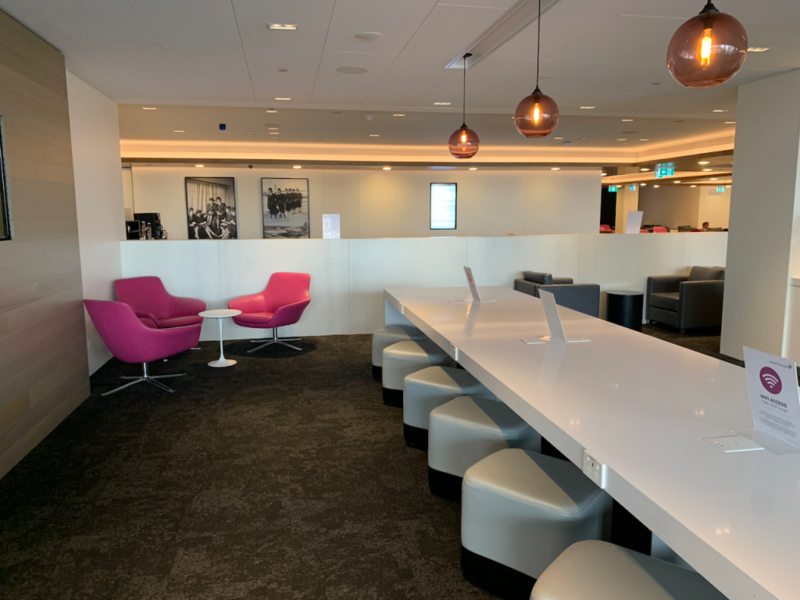 The lounge itself was huge, set directly on the ground floor of the terminal building, with a few seats that had views over the apron. The space itself was really big and was broken up into a variety of different areas, however there was ample seating. 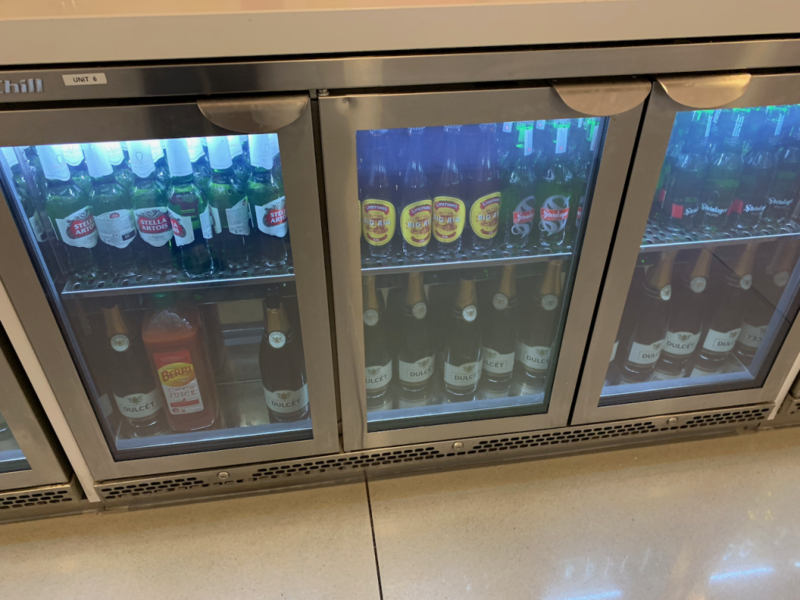 There was a pretty good drinks selection, including some quafable local sparkling wine. 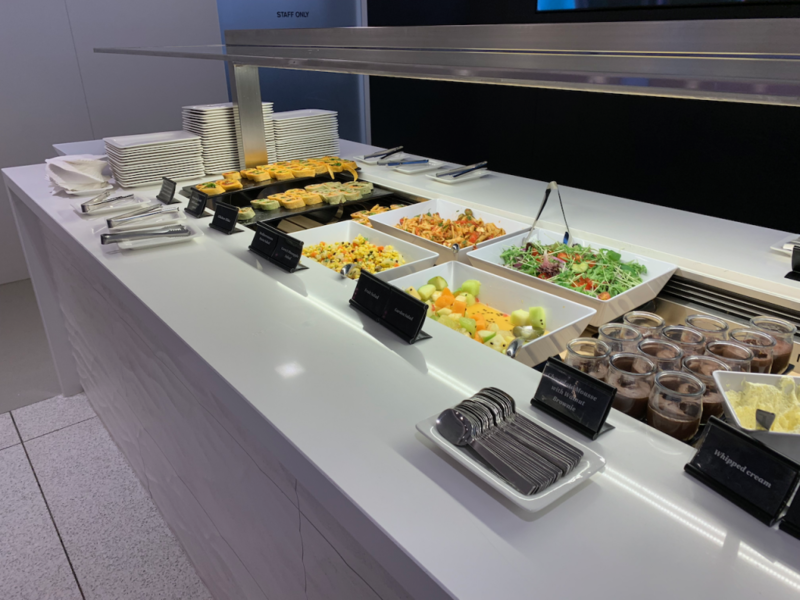 The lounge also had a pretty good buffet of both hot and cold food. Finally there was also a barista station for freshly made coffee, but I think that was only open from Monday to Friday – I was travelling on a Saturday. 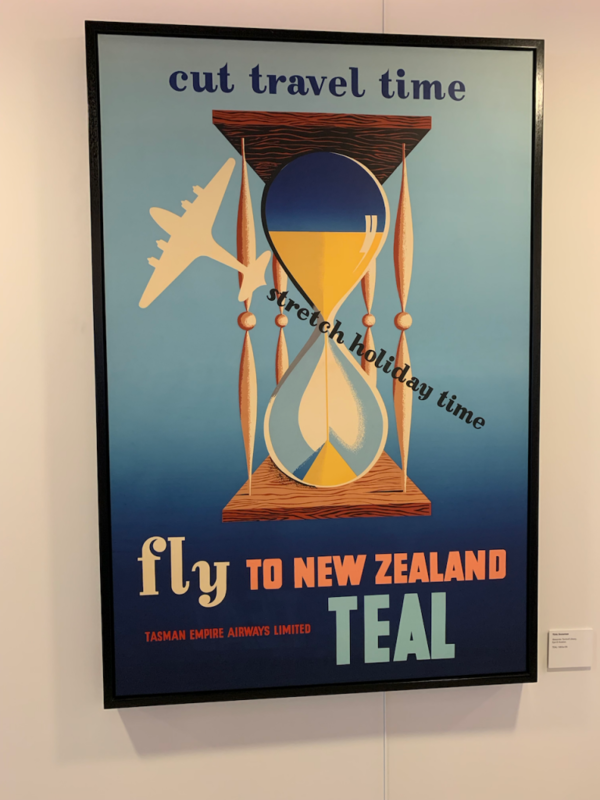 Also dotted around the room were a number of heritage posters dating from the 30s, 40s and 50s. 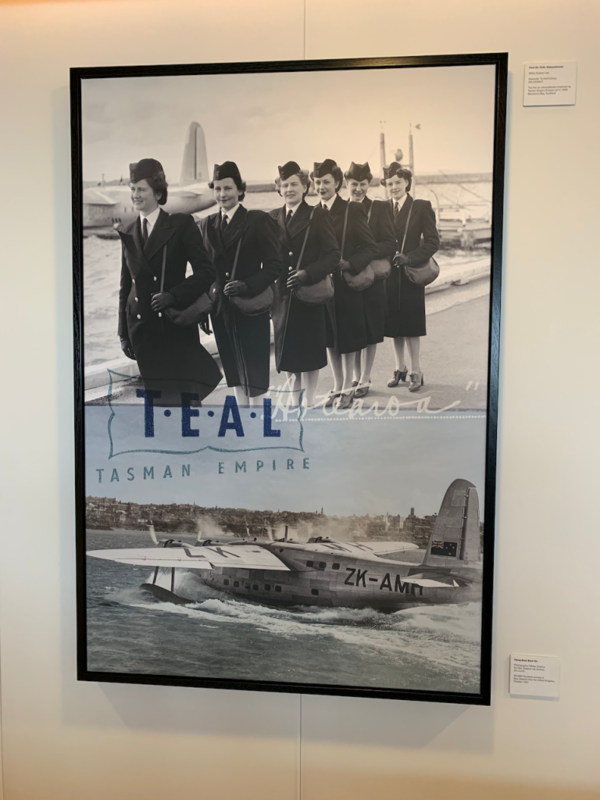 Back then, Air New Zealand was known as TEAL (Tasman Empire Airways Limited). 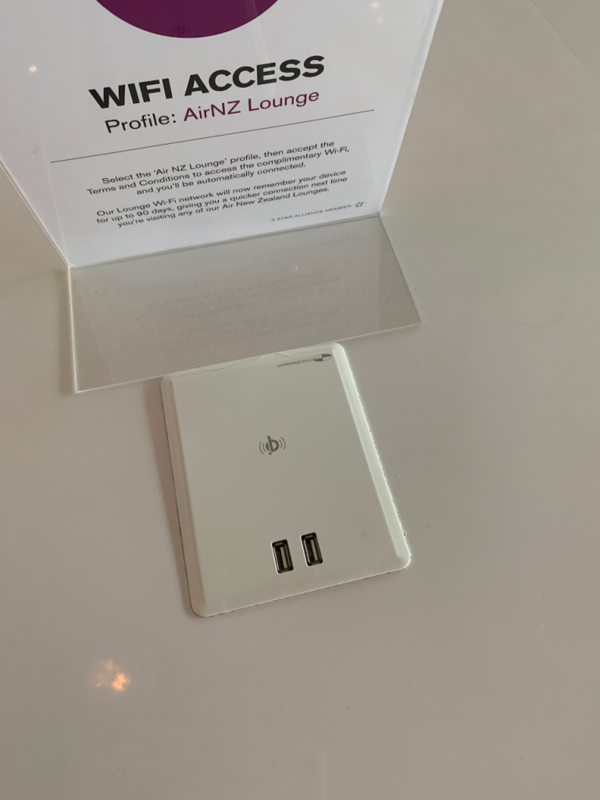 The lounge also had a business area complete with both Xi mobile charging mats and lots of USB ports. Which were scattered liberally around the lounge, along with regular power sockets. 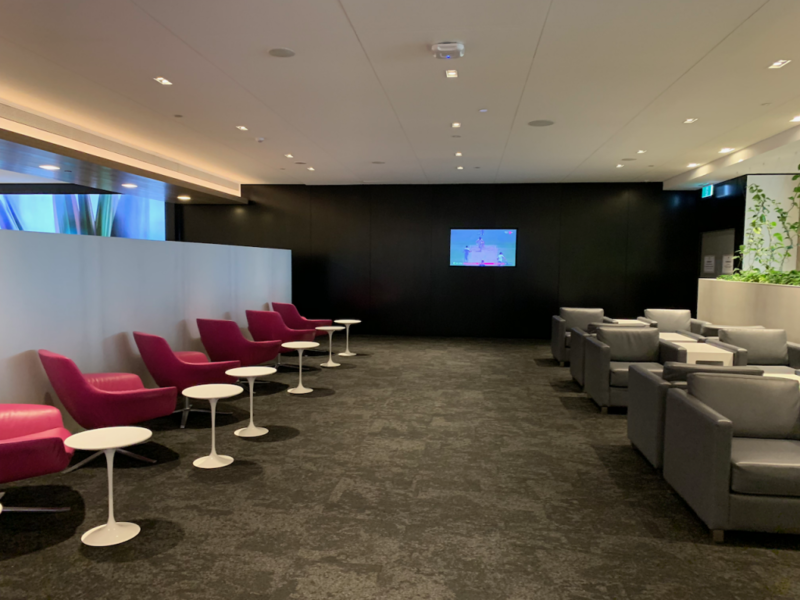 The wi-fi was also free and very fast – I had no problems streaming HD Netflix content for the duration of my stay, although it was pretty empty throughout. 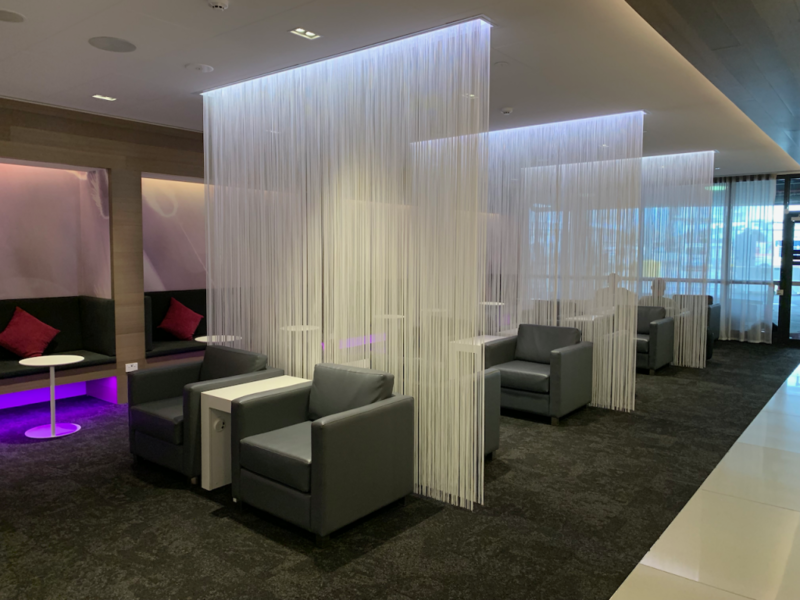 It was a pretty decent lounge to spend a couple of hours in whilst waiting for my flight. It was quiet, had an ok view of the apron, there were drinkable bubbles, fast Wi-Fi and food to nibble on. 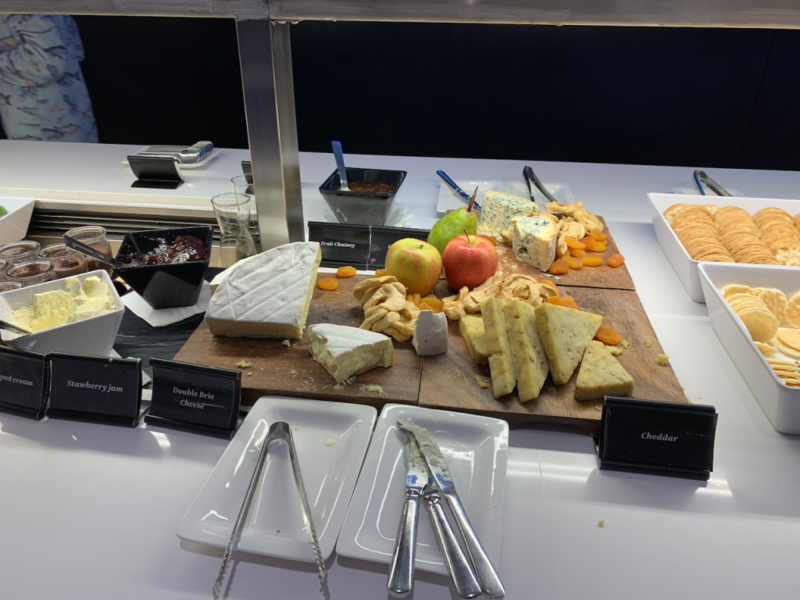 It wasn’t sit down dining, but I was only travelling business class and not First, so didn’t expect something like that. 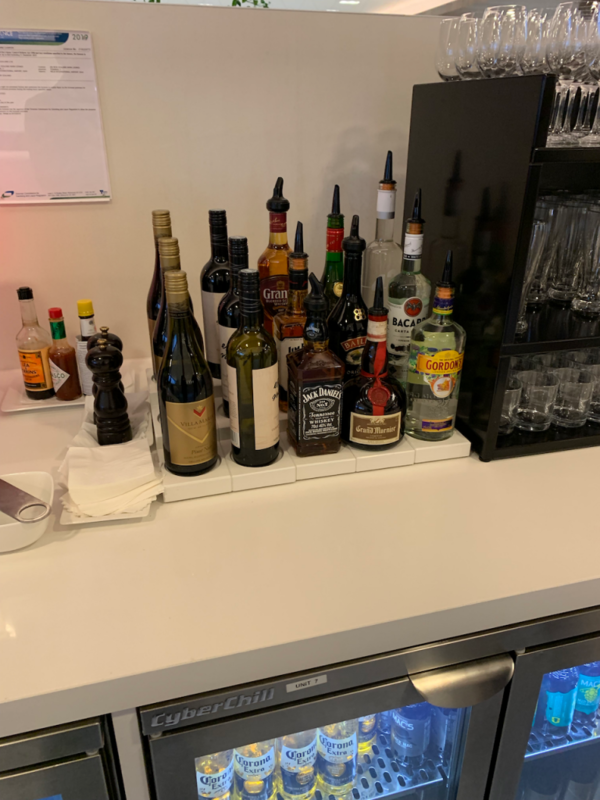 Pretty much ticked all the boxes that I’d expect of a quality airline’s business class lounge. 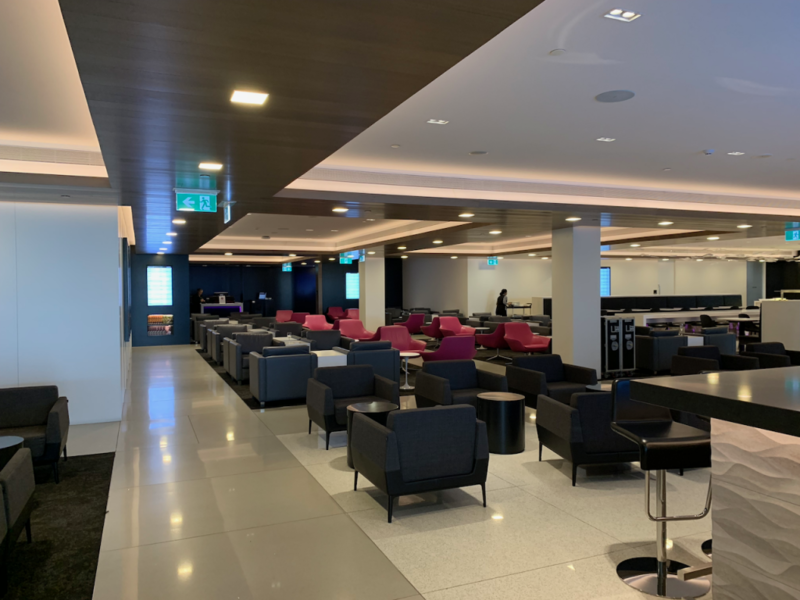 Previous Post: British Airways to co-locate with American Airlines at JFK T8. 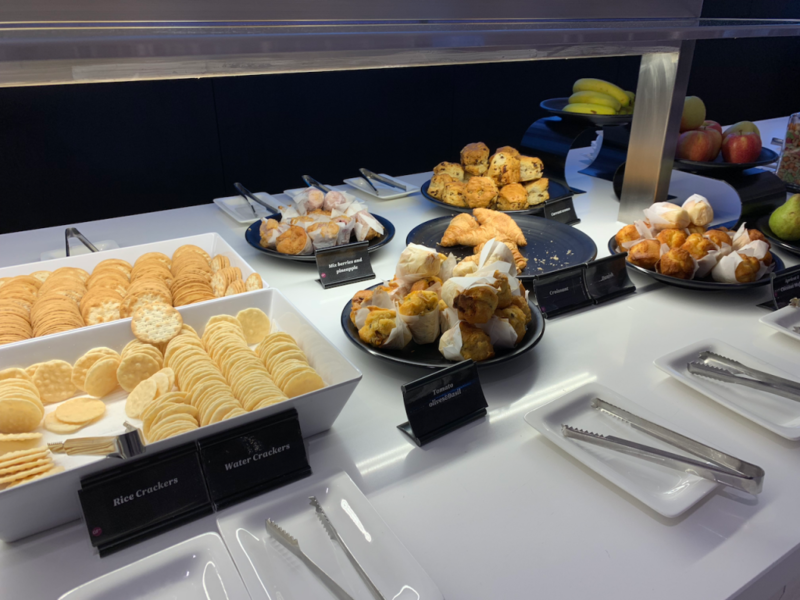 Next Post: Singapore Airlines Business Class. Melbourne to Singapore.